Since he is man's best friend, your dog probably loves a good road trip to the unexplored wilderness at least as much as you do. Next time you're taking your canine buddy on an off-road adventure in your Jeep, give him a safe place of his own to hang out during the drive. 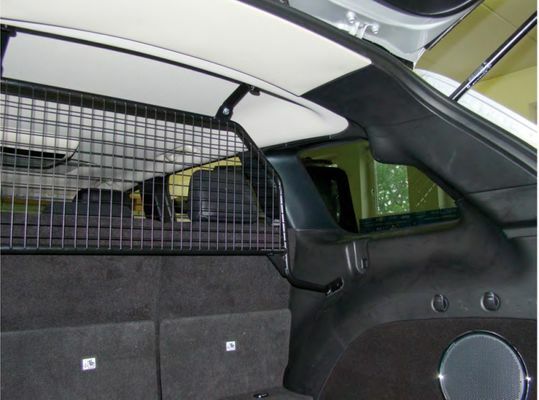 Get him the Mopar Dog Guard Compartment Partition. Item No. 82212304 comes with all the hardware and fitting instructions you need to create a compartment your dog will appreciate even more than you and your other passengers will. Not for vehicles with the dual pane panoramic sunroof. Headlining has to be removed! I was not aware the headlining of the vehicle had to be removed! Returning item.